Hometowns are around the corner and Ali needs to make some tough decisions. At this stage, who does she have chemistry with and are there any solid connections? 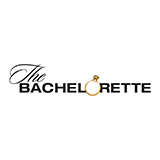 The Bachelorette Australia was broadcast on Ten at Wednesday 7 November 2018, 21:51. The Bachelorette is an American reality dating game show that is written for television and which is a spin-off of the show The Bachelor. The rules of the game have also been taken from The Bachelor. The show revolves around one single woman, the bachelorette, and a group of 25 or 30 men from which the bachelorette may or may not choose a husband at the end of each season. The Bachelorette usually features a losing female contestant from the previous season of The Bachelor as the protagonist of the season. The show was an instant success and was subsequently sold to be broadcast in numerous other territories, including Australa, New Zealand and Germany.